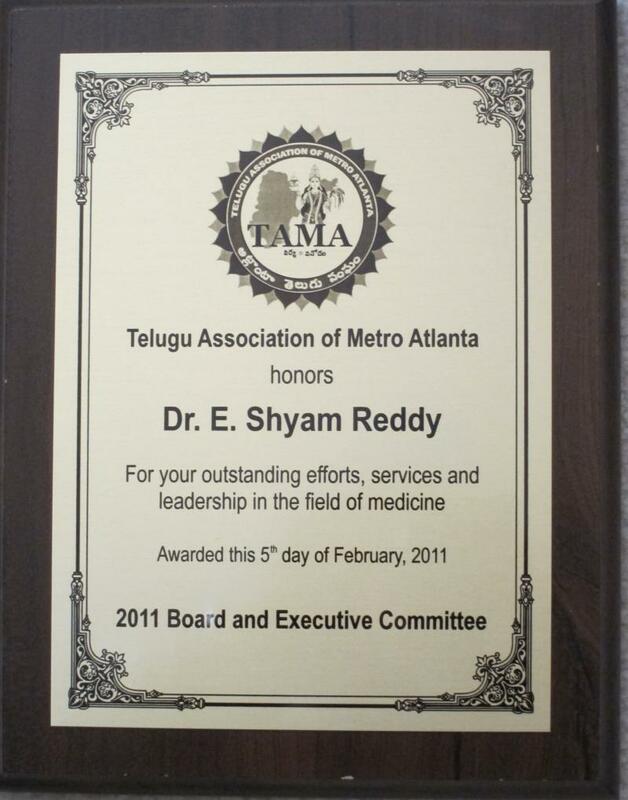 Telugu Association of Metro Atlanta (TAMA) honors Dr Reddy with an Award for outstanding efforts, services and leadership in the field of medicine on February 5, 2011. Dr Reddy's speech as a chief guest at TAMA Sankranti celebrations. Dr Reddy thanking TAMA organization for the award. TAMA President Sunil Katepalli (on the rightside of Dr Reddy) and Cultural Secretary Sandhya Yellapragada (on the leftside of Dr Reddy).